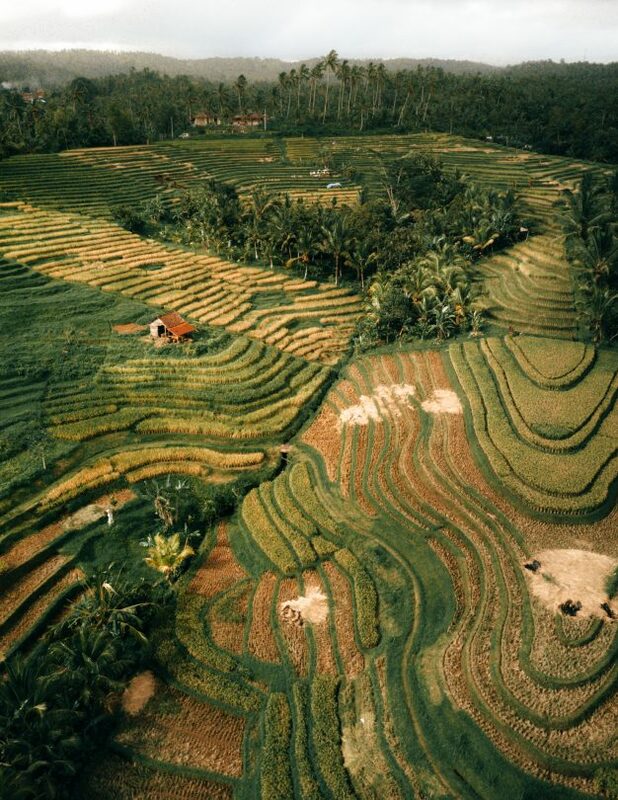 Bali is well-known amongst travelers for its stunning nature, surfing, temples and beautiful resorts. 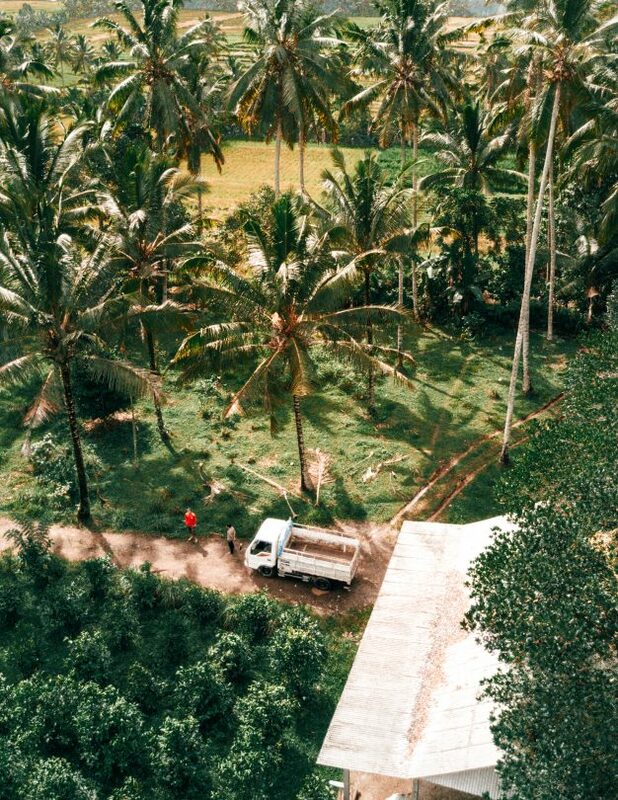 Exploring the best waterfalls in Bali is a great experience but how about getting to know how the real Balinese people live? 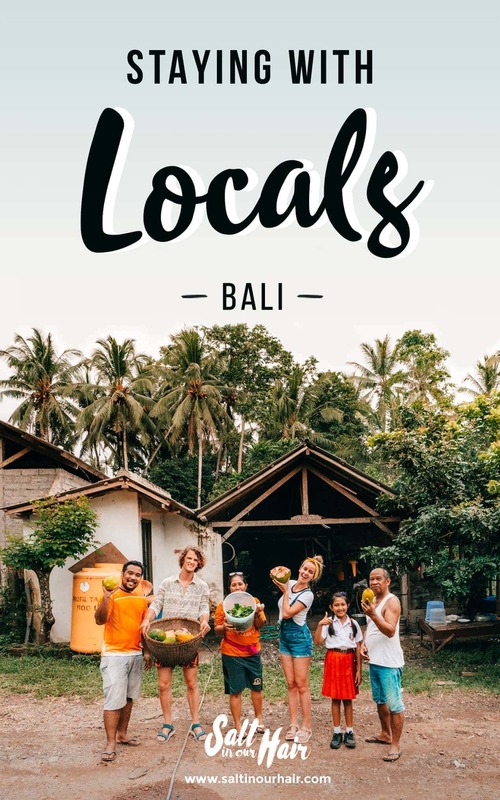 Stay with a local family in Bali and we promise you this will be added as one of your best things to do in Bali. 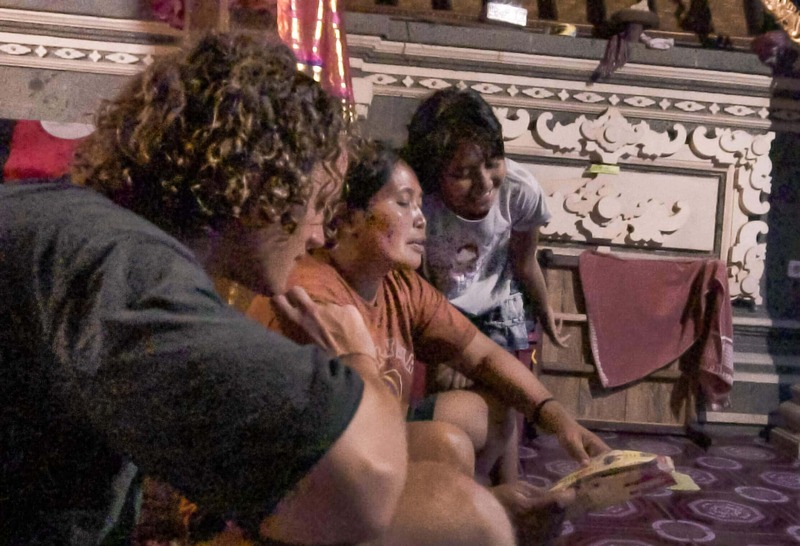 Nyoman, Era, and their daughter Ayu; A Balinese family living in Gadungan, a small village 1-hour north of Canggu. 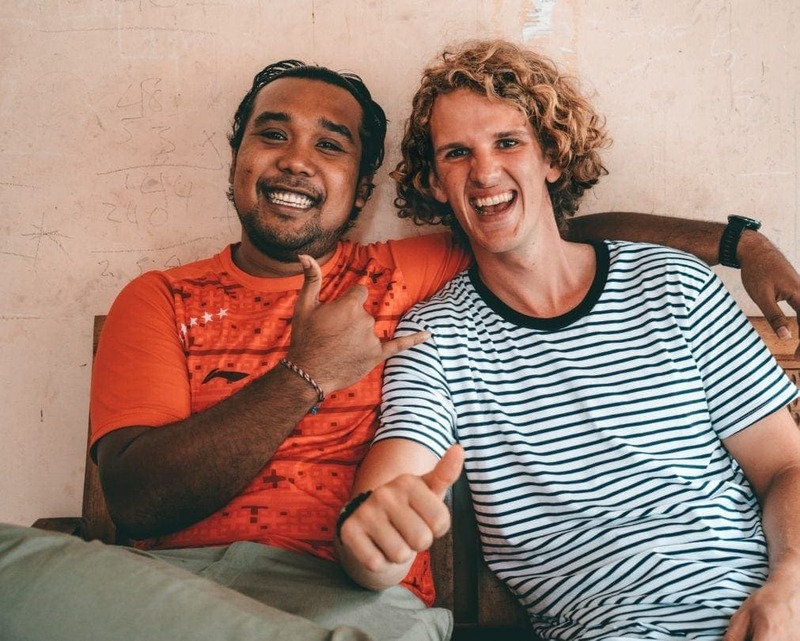 Their nephew Adi, who lives in Denpasar, speaks English and joins every visitor during their visit to Gadungan village as a guide, translator, driver and most important; friend. 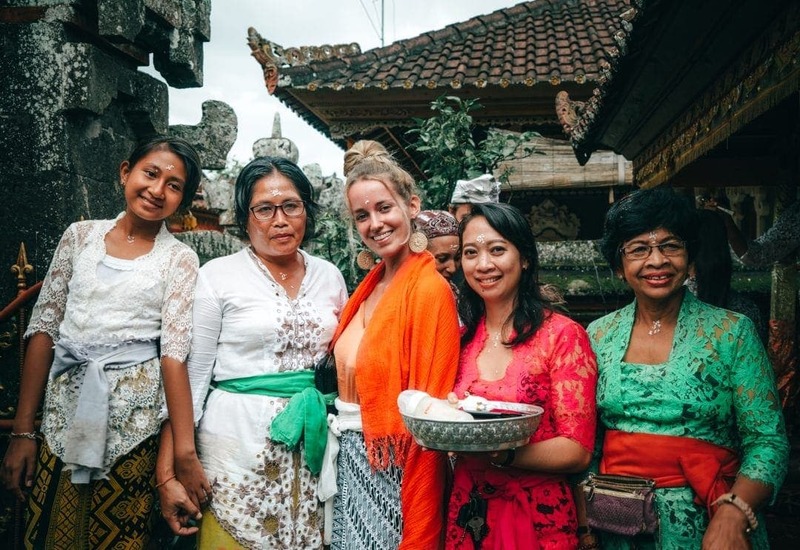 Our Bali family is how we call them after having stayed there multiple times. During our first visit in 2017, we were all shy. We broke the ice by sharing the cookies we took for them from the Netherlands. 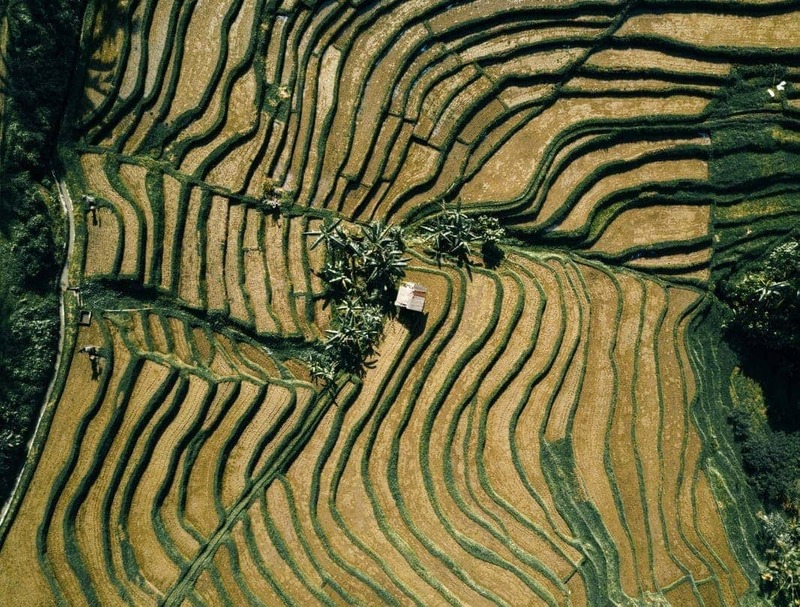 Nyoman has his own farm and rice factory nearby their home. 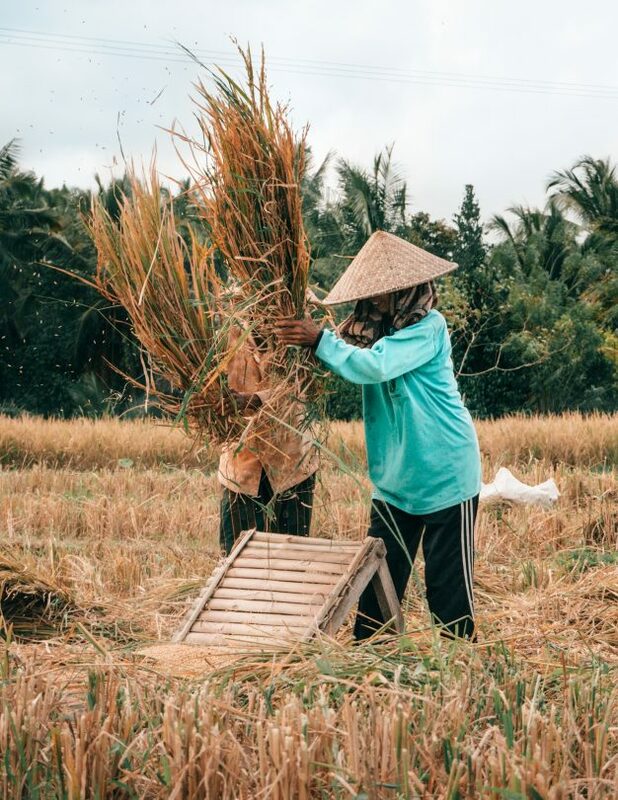 After a short walk through the rice fields, you will reach their farm where they grow all kinds of fruits and vegetables. 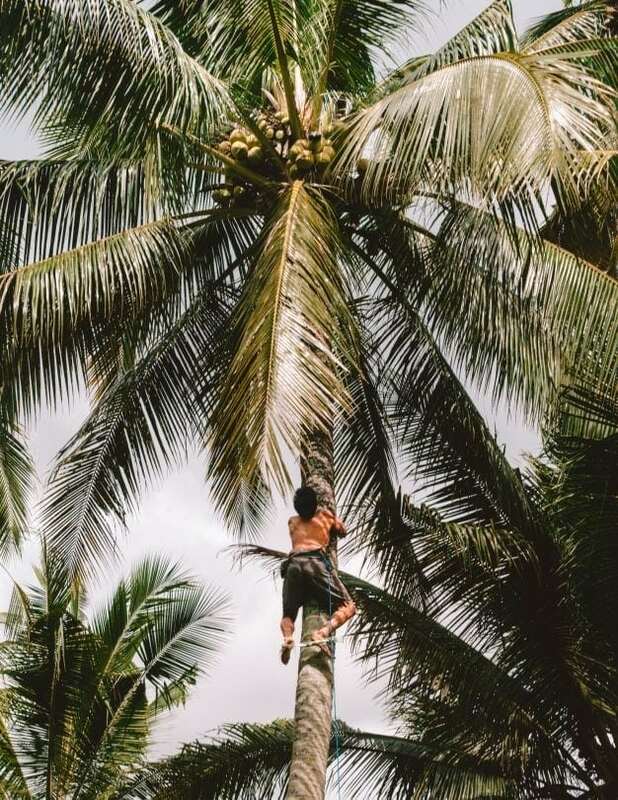 After helping or cutting some rice, a fresh coconut, just cut from the tree is waiting as a refreshing reward. Era takes care of lunch for all the people working on the farm. She is such a sweet lady and definitely knows how to make mouth-watering meals. Most of the meals were prepared with fresh ingredients from their own farm. You can learn about the ingredients used or ask if you can cook together with Era. Oh and; The local sweet snacks were incredible by the way! 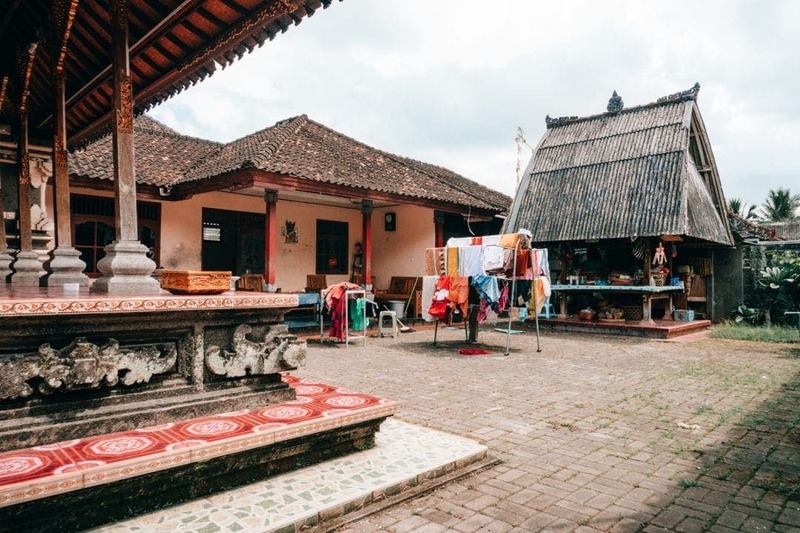 Stay a few nights at the family and get a true view on how Balinese people live. 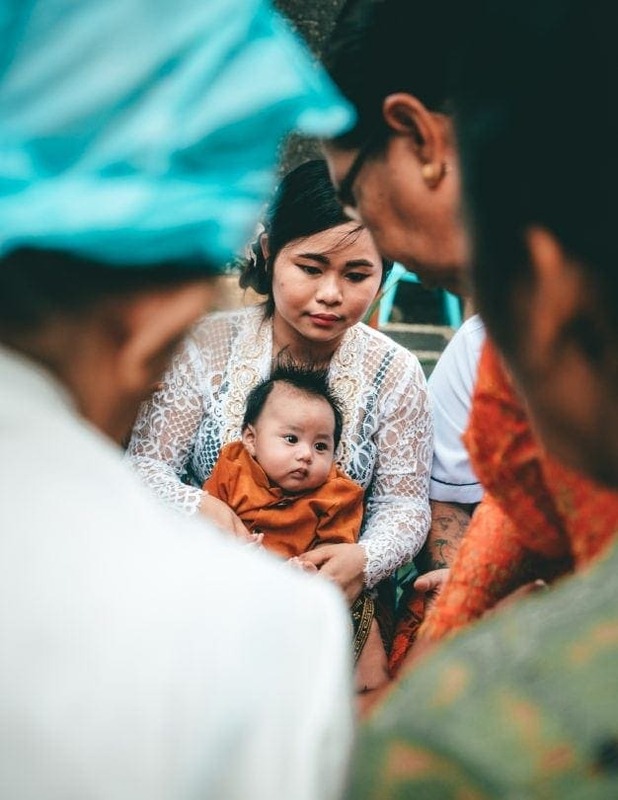 We were lucky to join a ceremony, the birth of a baby boy in the family. 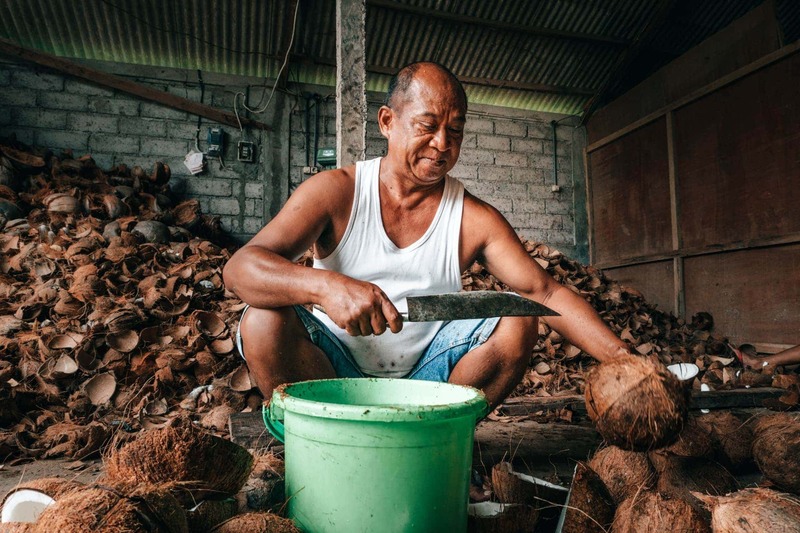 A unique experience and an even deeper look into their culture. 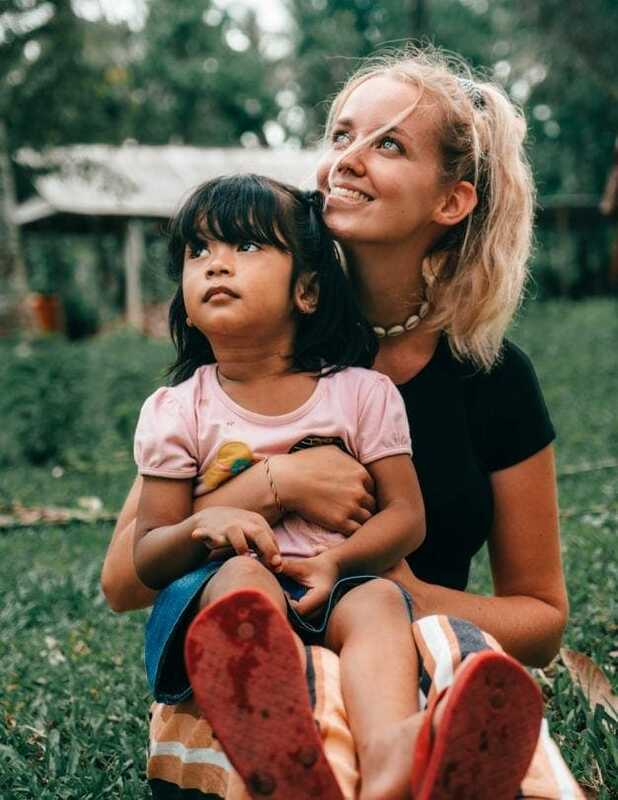 The family is warm, welcome and always open to host new travelers. Although you are only able to talk via hand gestures and body language, staying a couple of days at the family creates an instant friendship. 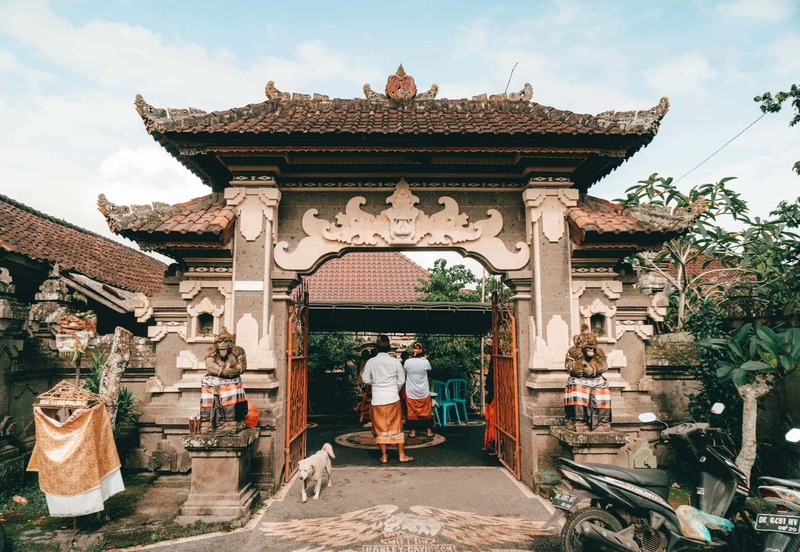 One day, Nyoman wanted to introduce us to the Hindu Culture in Bali which is different from India. 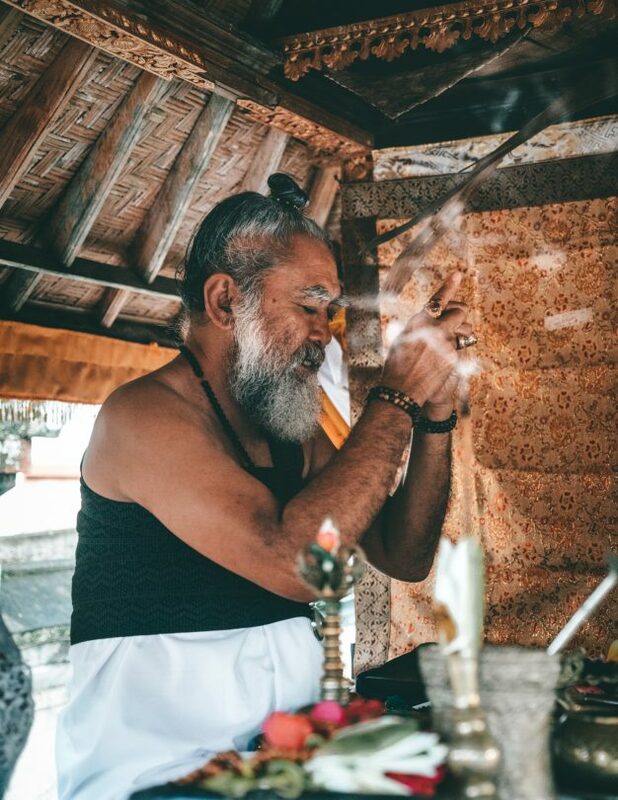 Earlier he visited the Besakih Temple, which is the most important temple of Bali that you visit only twice a year. Every visitor receives bracelets. Nyoman gave us both got a bracelet called “Tridatu”. 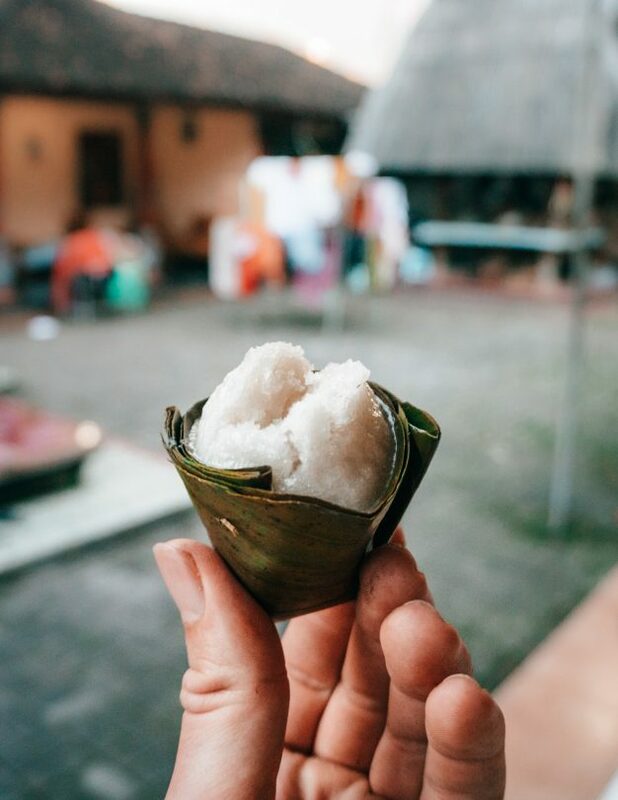 When the Balinese people wear it they say it brings peace, safety, and luck. 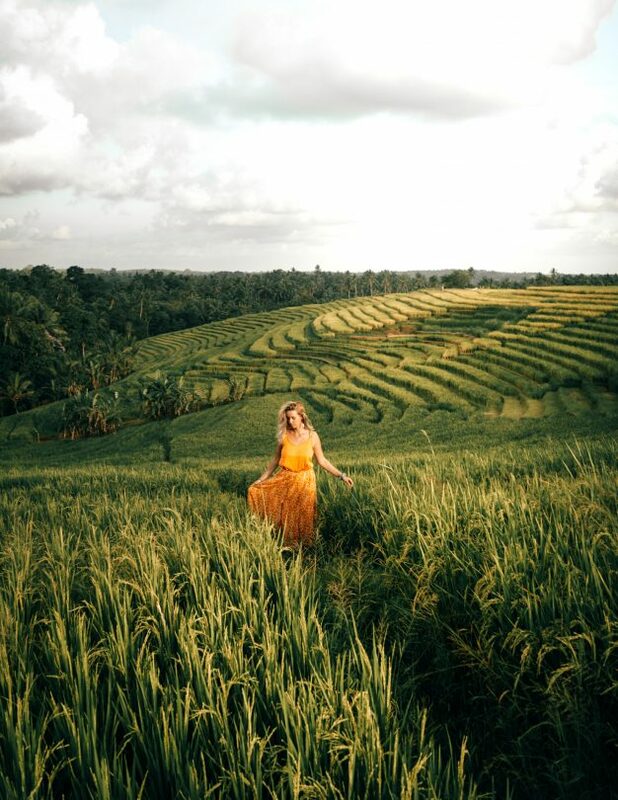 Adi shows you around the village, their temple located on the top of a rice field valley, a nearby waterfall, and one of the best rice fields you will see in Bali. 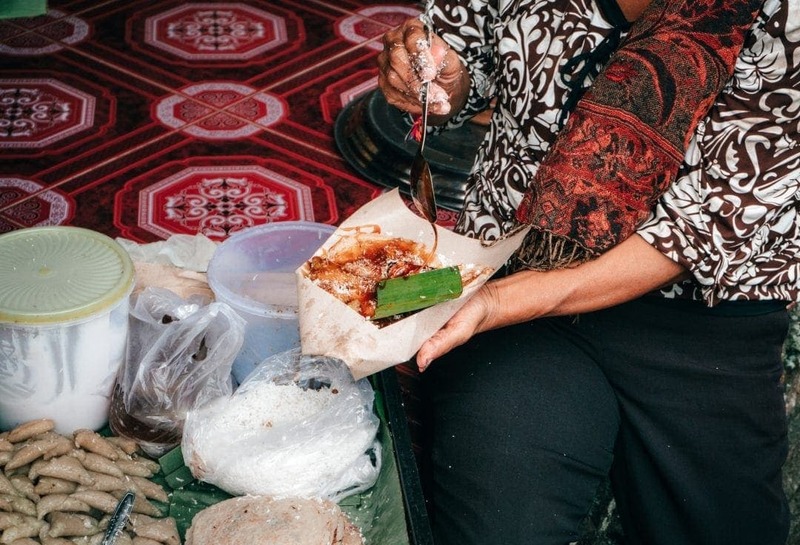 Yes, even better than Tegalalang Rice Teracces in Ubud. Bring a game or book because when the evening falls you can do this together with the family and they will love it. During our stay, it started raining and didn’t stop until the next morning. Ayu had a school book with Indonesian words and their English translation. We basically talked the entire night by using Ayu’s school book and Google Translate when we had a 3G connection. 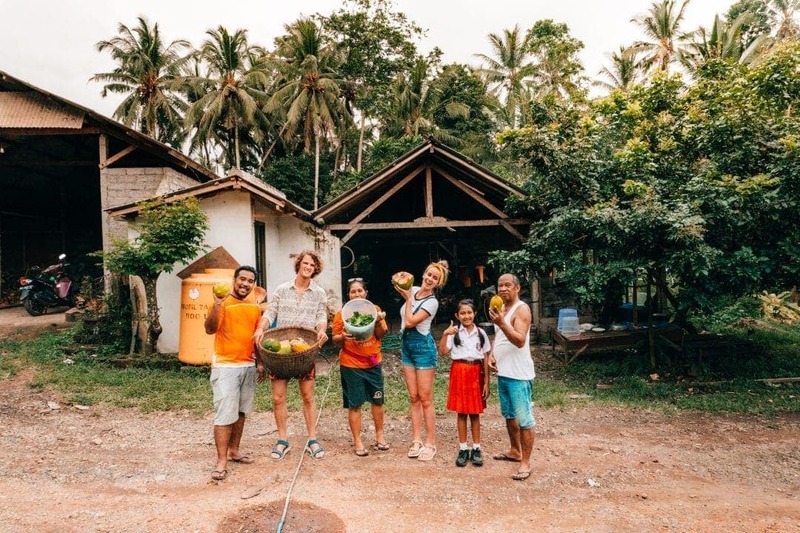 Interested in staying with a local family in Bali? The family’s doors are always open for you. 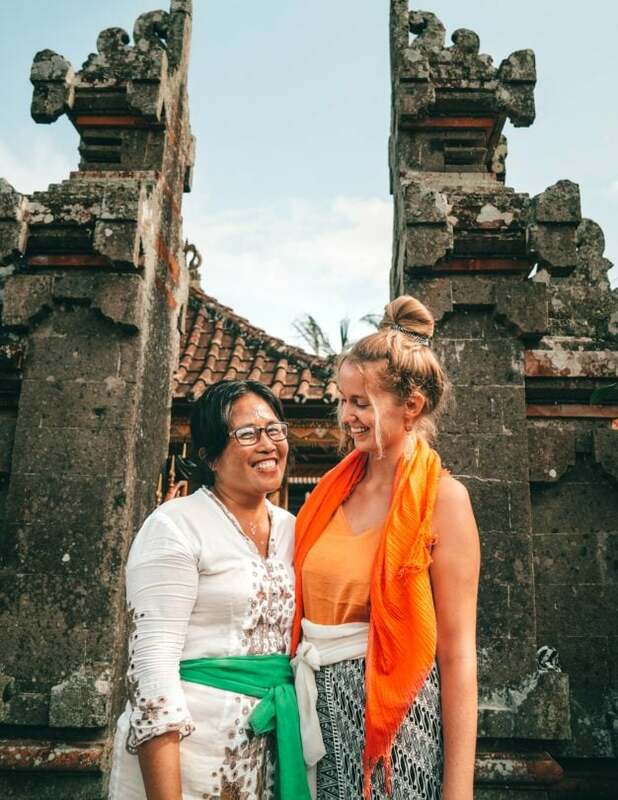 If you’re interested in staying with locals on Bali or in another country around the world then visit DuaraTravels.com. Expect to go back to basic during your stay. A basic room, with double bed and fan, an outdated bathroom but it has hot water. Taking children is no problem. They will have the time of there lives with all the local kids around. 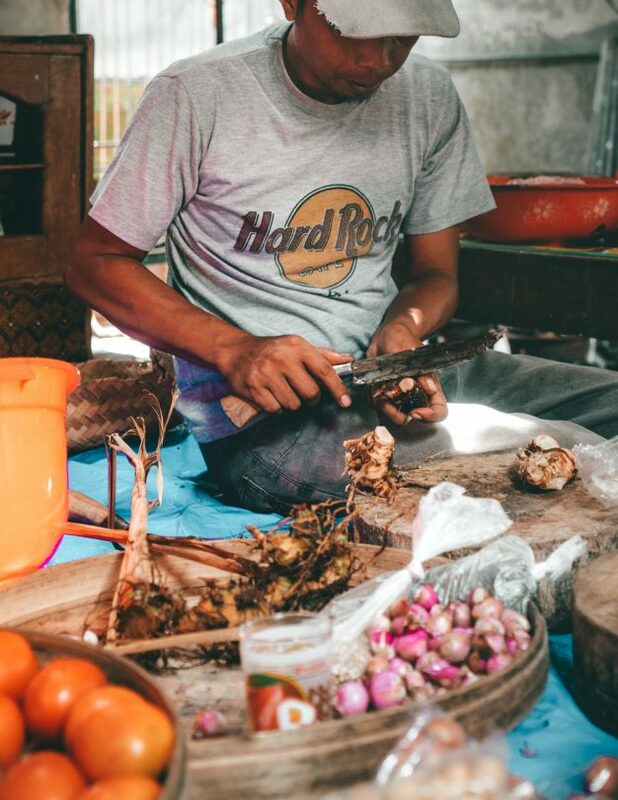 The price for the stay includes transportation from and to your hotel, all meals, and you support the family and the Gadungan town community.